Diwali is the most special festival of light and happiness. And of-course when it comes to purchasing the best Diwali gifts for Friends, you can buy it from the online store FlowerAura. 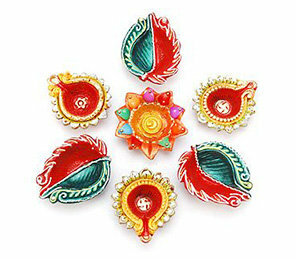 This online flowers and gifts store offers you to buy best range of Diwali gifts for friends. Diwali is one of the most special festivals in India. This festival symbolizes the triumph of good over evil. Also known as Lakshmi or Diwali puja, this is a grand celebration of hope and light. On Diwali, people decorate their houses with clay lamps and colorful lights. Apart from the decoration, people exchange Diwali gifts with their family and friends. This festival of light is again around the corner and people must have already started buying Diwali gifts for their loved ones. So, what are you waiting for? Kick start your Diwali gift shopping with FlowerAura and surprise your loved ones in the most beautiful way. But, this festive season, while you shop for your family, don’t forget to give the best Diwali gifts to your friends like family. FlowerAura provides you a wide range of thoughtful Deepavali gifts for friends that are sure to convey your heartfelt wishes in the best possible manner. Whether you are looking for handmade Diwali gifts for friends or delicious Diwali chocolate boxes, you can find every sort of Diwali gift available at FlowerAura. Friends have always been a crucial part of your life because they have been your great support at your bad times and at the same time they also have been there to celebrate your good times, so they really deserve something amazing in this Diwali. Now FlowerAura gives you the opportunity to celebrate this special day with some excellent Diwali gift ideas for friends. Whether you are looking for Diwali gift for girlfriend or best friend, FlowerAura’s exclusive collection of gifts will leave them awestruck. From pooja accessories to authentic Indian sweets, flowers to cakes, mugs to cushion, personalized lamps to house plants, we provide a wide array of Diwali gifts that are sure to put a beaming smile on your friend’s face. The best part of anyone’s childhood is probably having a bunch of friends with whom we all have spent and lived the best moments of our life with. This Diwali why not recall the best moments of your life by sending a Diwali gift to your best friends? Yes, if you and your best friends are separated by distance and cannot bump into each other on Diwali then, fret not because now you can send Diwali gift for your friends online from FlowerAura. In fact, if you are in a long distance relationship, you can send a Diwali gift for boyfriend as well as and strengthen your bond with him. Now you might be wondering why should you rely on FlowerAura only when it comes to sending online Diwali gifts for friends. Well, FlowerAura is one of the most popular online gift stores in India that ensures Diwali gifts delivery for friends in Delhi, Mumbai, Chennai, Bangalore, Pune, Patna, Nagpur, Gurgaon and many other places. With the network of over 200 cities in India, FlowerAura boasts the best in class Diwali gift delivery service in India. You can easily order the best Diwali gifts for friends and family and get it delivered on time without experiencing any kind of hassles. Yes, FlowerAura ensures same day delivery and midnight delivery services. Therefore, now you can send a Diwali gift for your friend on the same day and at the midnight as well only with FlowerAura. In case, you want to opt for a next-day delivery then, it is also feasible with FlowerAura. So, this Diwali, check out the best ideas for Diwali gifts for friends at FlowerAura, pick the best gifts for them, and avail an express delivery along with free shipping.